Stepping online and looking up into the £25 to £35 price bracket opens up a veritable feast of amazing Rums to those who are willing to look beyond the supermarket shelves (though some great Rums are available there too). 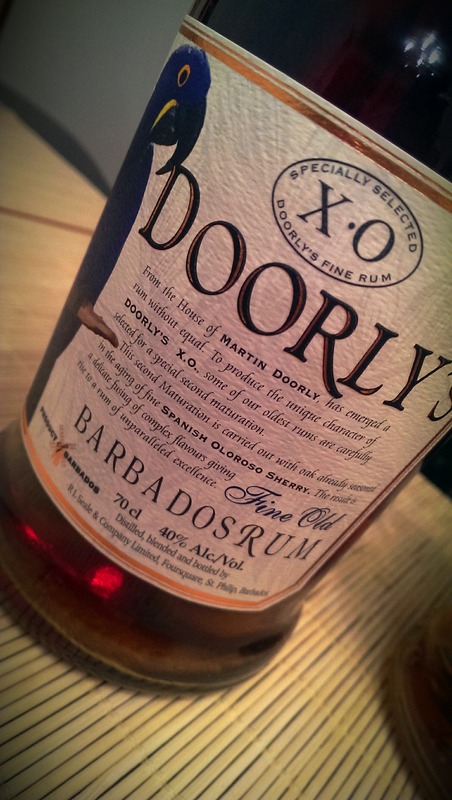 One such Rum that makes you feel almost guilty of theft is Doorly’s XO. A Spanish Oloroso Sherry Cask finished blend of Rums from Barbados that offers incredible amounts of flavour and countless glasses of enjoyment. 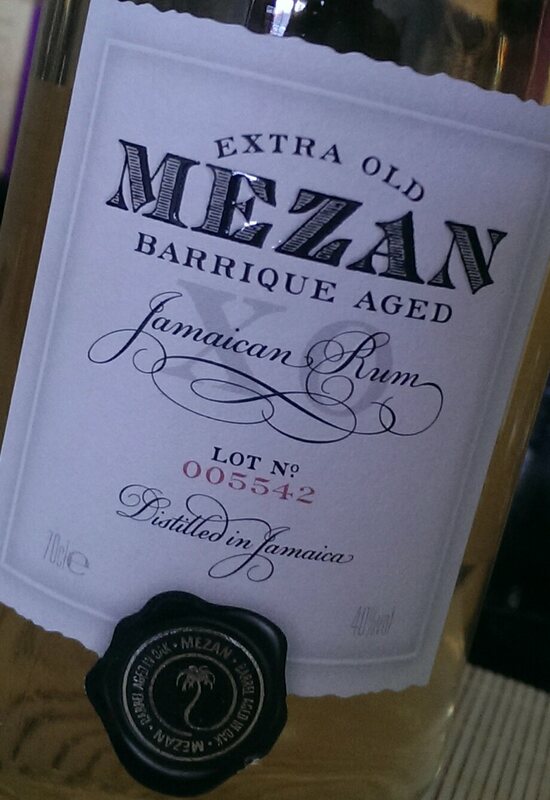 It’s a steal at £25 a bottle and can compete with other more expensive and also highly regarded Rums. It will come as no surprise then when I tell you that this is another Rum produced by Richard Seale at the amazing Foursquare Rum Distillery. You will have read about my love of all things Foursquare and Richard Seale in my article on R.L Seales 10 but if not, click here for some background information on the distillery and Rums. Although there is no age statement on the bottle (there is on the 5 and 3), I have it on good authority that the minimum age of the Rum in the blend prior to the second maturation is 5 years old with the second maturation in seasoned Oloroso Sherry Casks is for a minimum of 1 year. 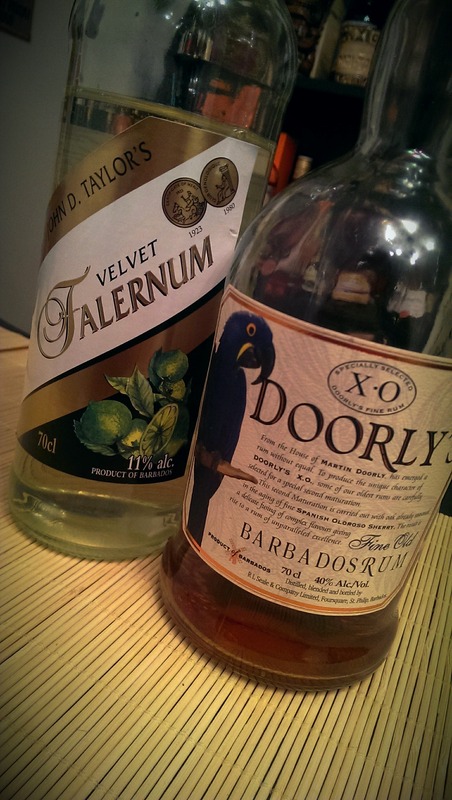 This it seems is where the general consensus comes from that the youngest Rum in Doorly’s XO is 6 years old. 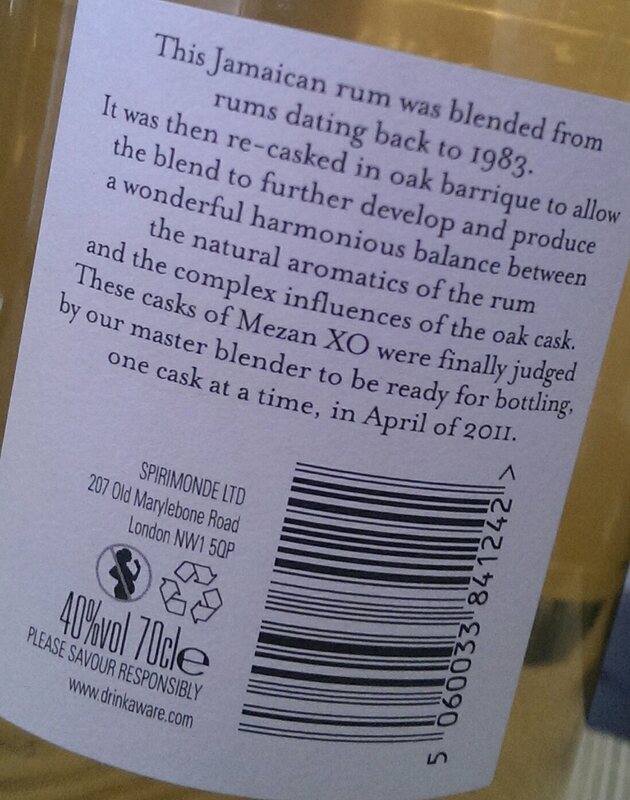 There will be older Rums in the blend prior to the second maturation but the omission of an age statement gives Foursquare the flexibility in their control over the necessary time spent in casks of different ages at each maturation stage and it also allows them to emphasise the fact that the Rum is twice matured. This second maturation adds another level of interest to the Rum. Oloroso Sherry is a Dry Sherry with a nutty flavour profile. 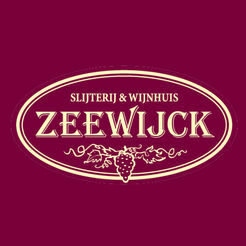 It is often used as a base to build upon to create sweeter sherries. In the case of a bottle of Matusalem Oloroso Sherry that I have, it is the addition of 25% Pedro Ximinez that sweetens the Oloroso Sherry and the flavours within that bottle really are something else. 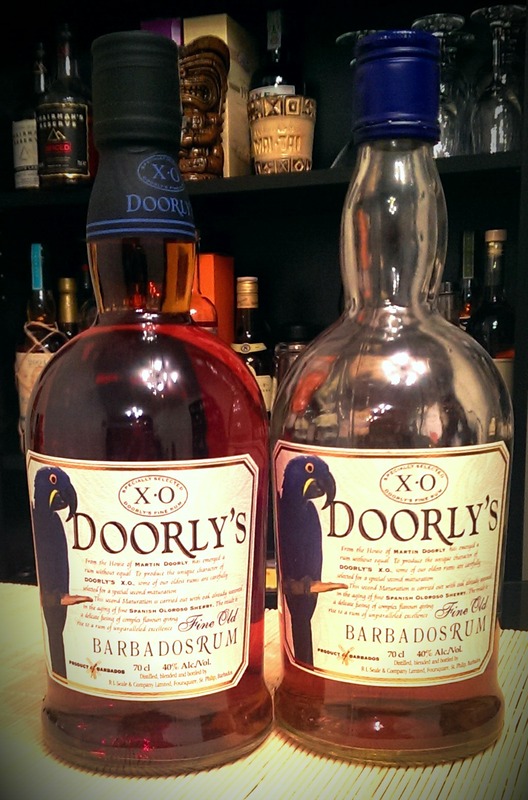 The bottle itself (although different in other territories) is a part of the family of Doorly’s Rums that sit on my shelf. The XO, 5 and 3 all have the same shape of bottle and all have the image of the Blue Hyacinth McCaw on them. 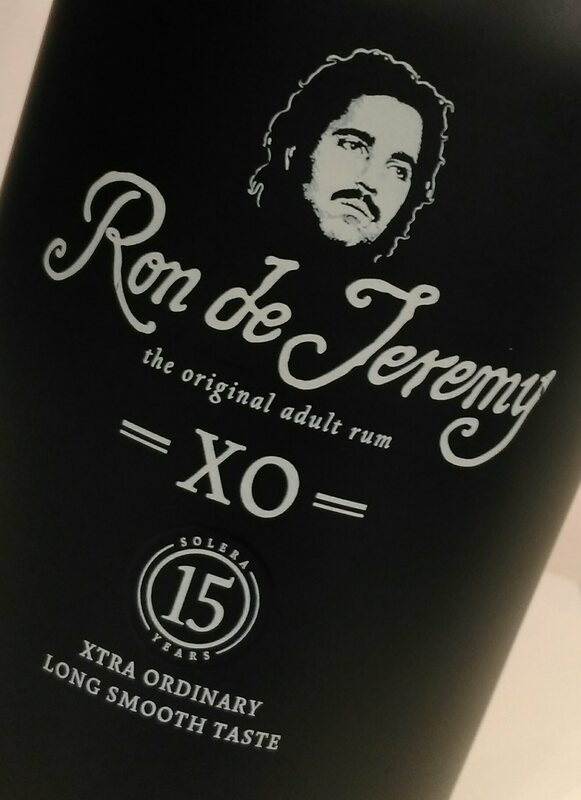 The same label shape and size make for an attractive presentation when all lined up in their varying stages of emptiness…..at least at Rum Diaries HQ. A place which saw me finish and then re-purchase a bottle of Doorly’s XO whilst taking my tasting notes, such was my level of desire to get my notes correct………….. In the glass: The Rum is a deep coppery orange in the glass and displays bountiful droplets with a slight reluctance to move. 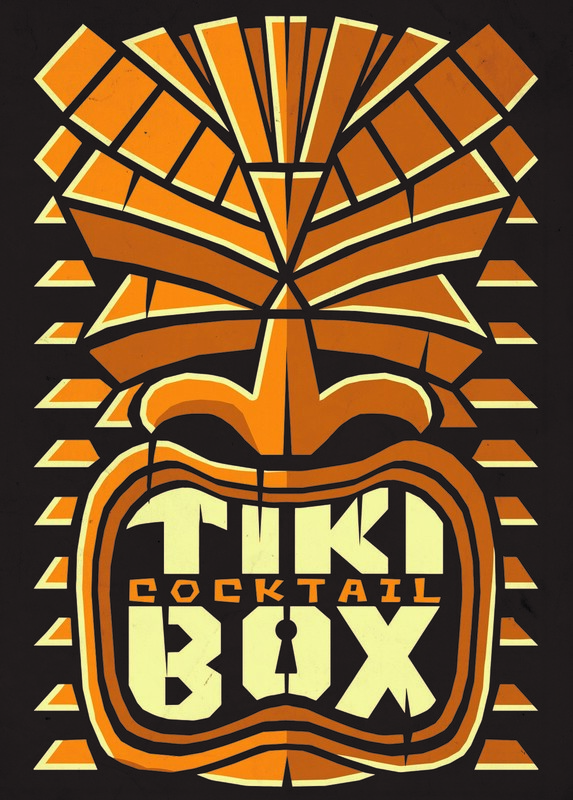 The Rum has deep caramel up front with aromas of orange oil and orange zest. There is a little spice tingle and a dark fruity oak. As the Rum warms up in the glass, coconut, peach, passion fruit and a little fudge reveal themselves. In the mouth: The Rum is awash with peppery spice and heat initially, wrapped in a nutty sweetness. Orange zest and oak are also present. As the dominant spice subsides, the nutty, sherried oak comes to the fore with a little caramel sweetness. After time, the peach, passion fruit and coconut show up on the back-end. Further sips confirm the prominent spice but the sherried oak develops more quickly as your mouth acclimatises to it. This again develops into caramel, coconut and peach. 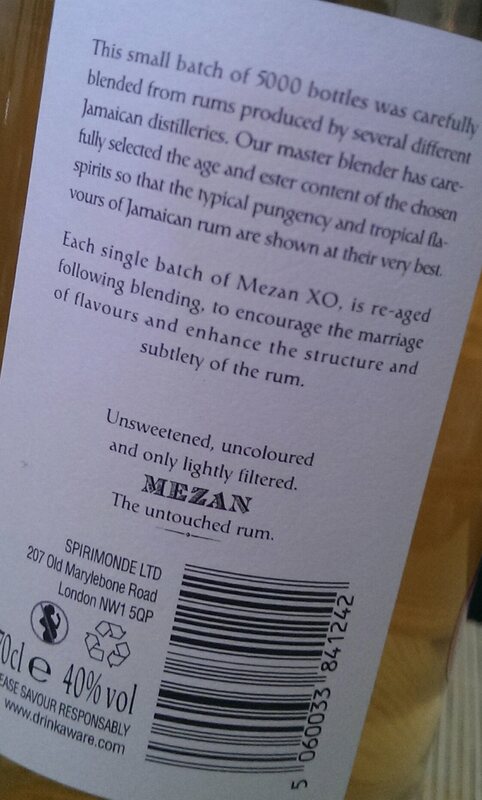 The Rum has a beautiful character whereby it is the Rum, not the sherry that defines it. The sherry is the vehicle on which the other flavours are transported. There are no dead spots where you are left wanting for flavour. 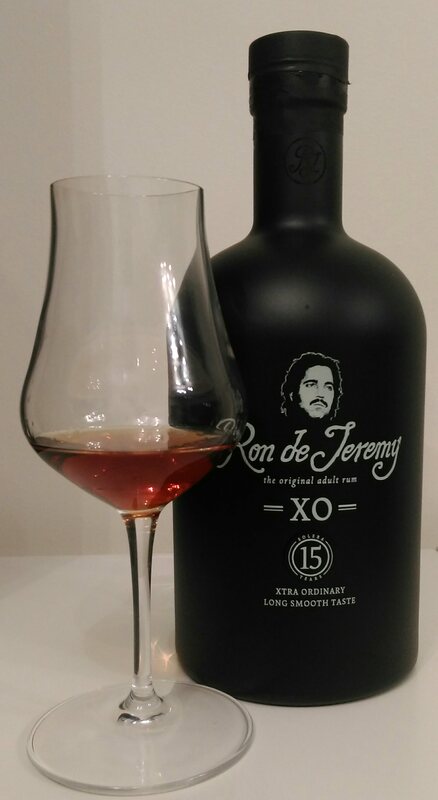 The Rum has a long finish that starts peppery and ends with toasted coconut, slight oaky bitterness and faint peach. Tobacco shows up as an after smell in the glass. An example of sherry maturation executed correctly. 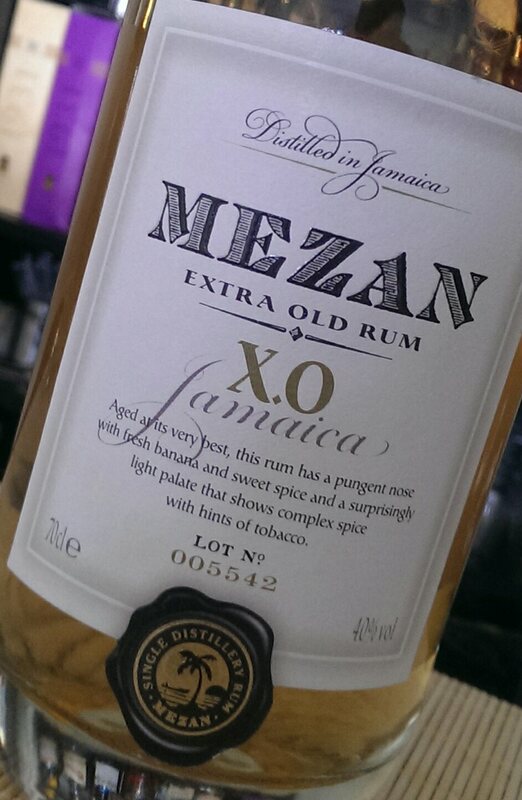 Never dominant and never defining the Rum, just allowing the right amount of influence to come through. This Rum really does deserve a place on everyone’s shelf, not just those with a real interest in Rum. It sits at a very accessible price point and is equally at home neat, with a mixer, or in a drink such as the Corn ‘n Oil. It is a fine example of the craft of sherry maturation by a master of his craft. Wonderful, thought-provoking stuff and as a fanatic that buys a lot of Rum, it is an absolute steal for a Rum of this calibre.